Obtaining a NETA test technician certification is an extremely challenging task that comes with really great rewards. 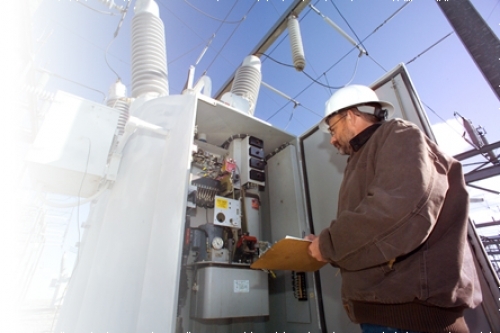 NETA certified test technicians are highly respected for their knowledge to perform electrical testing across a wide variety of power systems while keeping current with emerging technologies and practices. The criteria for certifying test technicians is laid out in NETA ETT standards, exams consist of a specific number of random questions from each knowledge category and are weighted by difficulty. Because NETA technicians are expected to possess a broad knowledge base, it is important to review equipment, specifications and test procedures not normally serviced by your company. NETA certification exams are based on a combination of field experience and classroom knowledge. Regardless of your classroom education level, chances of passing the NETA exam without field experience are slim. Test technician life involves long working hours which can make it hard to find the appropriate time to study. "Cramming" for the exam usually never goes over well, how much time you will need to prepare is dependent on your level of field experience and how much time you have until your exam date. Don't underestimate the complexity of your upcoming exam, have a realistic timeframe for preparation in mind. If you expect to pass, it will require at least 8 weeks of regular technical review sessions. If you are looking for guidance to advance your position in the world of electrical testing, you've come to the right place. We offer a ton of resources to help you study and our community is comprised of certified test technicians with a broad range skill sets. TestGuy offers a series of comprehensive practice exams formulated using the criteria found in NETA-ETT standards. We have an active question bank with over 2000 questions, many of which have been submitted by community members in the forums after they sit for certification. ETT Level 1 Assessment Test 50 Questions. 60 minutes. ETT Level 2 Practice Exam 100 Questions. 120 minutes. ETT Level 3 Practice Exam 100 Questions. 120 minutes. ETT Level 4 Practice Exam 65 Questions. 120 minutes. At the end of each practice test, carefully read through reference material given for the questions missed. Don't only look for the correct answer to the question asked, but read the entire article to cover the topic. Each level practice exam provides a table breaking down your score percentage by category. These categories are based on the structure found in NETA-ETT standards and correlate with each section of the associated study guide. It's recommended that you focus your study time based on these results by researching topics related to the categories you have trouble with most frequently. You can also compare your results to the subject matter found in the official NETA detailed course outlines. Tagging is one of the main ways content is organized on TestGuy. Additional resources can be found by browsing tags related to the categories you miss frequently. If you are missing questions related to transformers for example, take time to read through the information found under the transformers tag. TestGuy is one of the best ways to connect directly with other techs just like you. Our community is comprised of test technicians with a wide range of certification levels and skill sets. Spend some time in the discussion forums and see what our members are saying about the NETA exam, there is new info being added every day and older information is still relevant. Be sure to replenish the well for future test takers by sharing your experience. During the course of your study, continue taking practice exams and focus on the categories you miss frequently using the steps above. Try the next higher level practice exam for an extra challenge and take a lower level practice exam for a refresher. 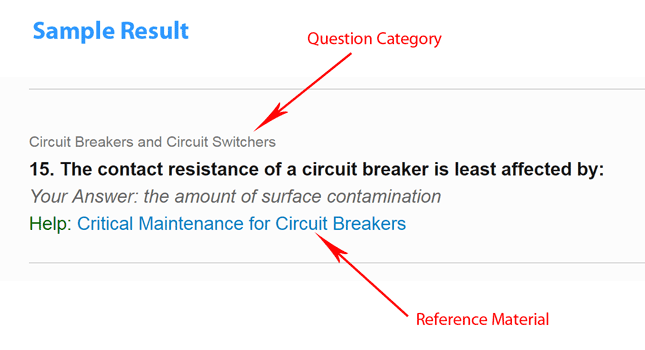 We understand it's not easy finding time for 100 question practice exams, so we have developed shorter pop quizzes to help you hone your skills in special categories like circuit breakers, electrical theory, codes and standards, etc. We've also designed TestGuy to be mobile friendly to help make it easy to study on the go. The ETT Tech Quiz is a short, well rounded review that is highly recommended for micro study sessions. TestGuy practice exams should be just one of many tools in your box of resources. For the most part, none of the questions on the NETA exam will be identical to those found here. However, the underlying theories and concepts are covered. Don't expect to get by with just passing the practice exams. Have a well rounded and disciplined plan that utilizes multiple sources and give yourself plenty of time in advance of your exam to absorb the information. Organizing study groups with fellow technicians is a great way to keep motivated and increase everyone's chance of passing. Often times TestGuy members will organize study groups and meet ups in the forums, we also have a Discord server where members can chat in real-time. Much of the knowledge required to pass NETA exams comes from field experience. You should review your practice exam results with other techs on the job during the course of your study and discuss other ways the question could be asked. Stuck on a topic or need additional guidance? Visit the message boards and get the answers you need. You can also find tons of useful information under the NETA Exam Tips tag. It is the goal of TestGuy to offer the best collection of study resources. Let us know how this study guide has helped you and way we can make it better by leaving a comment below. Note: This program follows the criteria set forth in the ANSI/NETA ETT-2015 Standard for Certification of Electrical Testing Technicians. You should first familiarize yourself with this standard before you proceed. Disclaimer: This study guide is in no way intended to replace any kind of classroom or group study led by a certified instructor. This study guide was not created - and is not endorsed - by NETA or any of its affiliates.